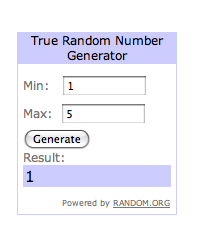 Time to announce the winner of the first Croshame giveaway! The entrants were designated numbers chronologically in order of their purchases, then chosen via a Random number generator. So congrats to the #1, Jenny, who had originally bought Grimm the Little Black Metal Dude. She will receive an Anton Crochet hat, a set of Croshame stickers, and a Crothulhu print! A big thank you so much to everyone who made purchases from the Etsy store this month; you’re ALL winners in my book! This entry was posted on July 1, 2012 by croshame. It was filed under Croshame .